First of all, thank-you! Our eternal thanks to everyone who’s worked with and supported us this year, to all who’ve been a part of Caribbean Beat (which celebrated its silver anniversary in March! 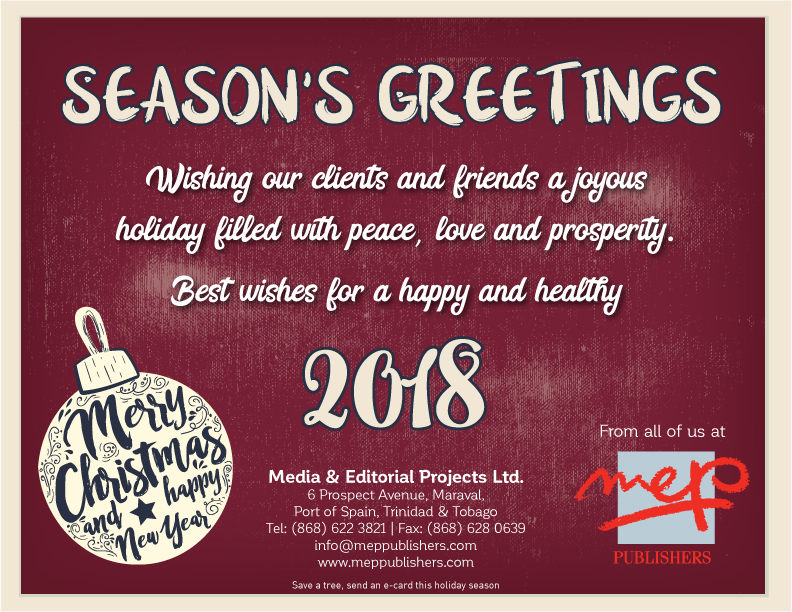 ), Discover Trinidad & Tobago, Prospect Press and our other client projects; our magazine subscribers and readers; advertising clients; industry partners and vendors; writers and photographers; newsletter subscribers, and social media followers. It’s been a challenging one for many — another year that’s called for increased reflection, innovation and determination, but also tremendous gratitude. We’re closed through Tuesday 2nd January, but you can still reach us if there’s anything urgent. So from our family to yours, thank-you once more, and we wish you all a truly blessed and restorative holiday season, with joy, abundance, and resilience in the new year and always. Merry Christmas, everyone, and happy new year!